Axel Clauberg joined Deutsche Telekom in September 2011. Within the Group Headquarter Strategy & Technology Innovation team, Axel was responsible for Deutsche Telekom’s IP End to End and Infrastructure Cloud Architecture. Since the beginning of 2019, Axel is the CTO for the Telecommunication Services unit at T-Systems and is responsible for the strategic portfolio management. 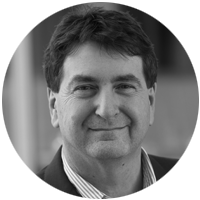 He has more than 35 years of experience in the IT and Telecommunications industry and is known as an innovation leader in the Internet and Cloudification space. Before joining DT, he had various international leadership roles at Cisco Systems. Axel is also serving as the Chairman of the Board for the Telecom Infrastructure Project (TIP). Opening CXO Keynote PANEL: Will the promise of automation and intelligence really deliver the network requirements of tomorrow?